Looking good means feeling good! If you’re in need of some sprucing up, a trip to the hair salon could be in order. 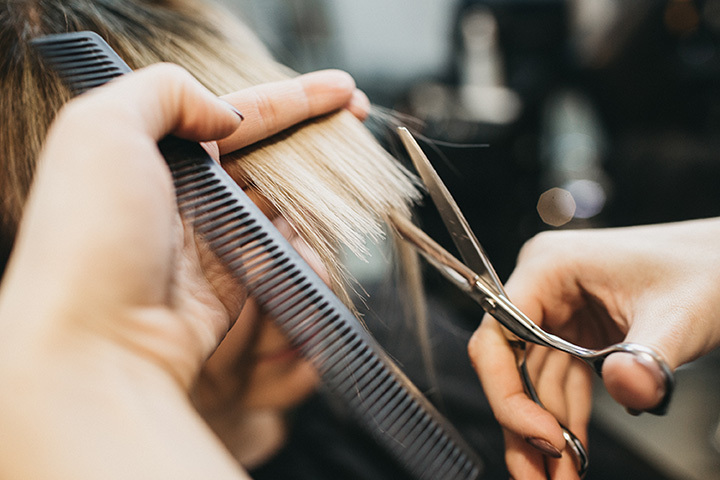 Whether you just need a basic trim or you want to dye your hair for a whole new look, West Virginia’s hair salons can handle it all. Here are the 10 best in the state. Color, curls, bobs, and beauty—you can get it all at Just Teazin’ Beauty Salon located in Inwood, West Virginia. Dedicated to helping every client feel beautiful, the good folks here understand that when your hair looks good, you can deal with almost anything. You won’t want anyone else touching your hair. The talented hairstylists at Edna’s Salon in Wheeling have a secret. They know how to make you feel special and beautiful. You’ll come away feeling like a princess with whatever you have done. From haircuts to great conversation, you’ll love the attention to detail and friendliness here. You’ll be happy with the choices of styles and new techniques for your hair at Syrras Beauty Salon, a full service salon, and even if you have to drive to Charleston to experience the great services here, it’s worth it. The talented specialists are always learning about new products and ways to do an excellent job on hair and makeup. When it’s time to get your hair cut, go to any salon. When you want to shine, come to Glitter Hair Salon and Day Spa. The talented team of professionals at this full-service boutique use Paul Mitchell products and encourage fun and laughter. When you’ve found the perfect match for the services you need, there’s no reason to go anywhere else. Personal care takes on a whole new dimension at the Palm Salon & Spa in Cross Lanes. Men and women can choose from an extensive list of services that include haircuts and styling, nail care, hair replacement, body treatments, massage, and tanning services. No need to make an appointment if you’re in the area. Just stop in because walk ins are always welcome. Comfortable. Affordable. Experienced. Those are the words used to describe Salon Elite in Hurricane. You know you’re in the right place when you see customers having a good time with a smile on their face. Specializing in hair, nail, and waxing services, your experience will be seeing your beautiful self. No matter what your haircare or styling need is, the professionals at Toni Exquisite Hair in Morgantown can help bring your inner beauty out. With a comfortable and clean atmosphere, this isn’t just another hair salon. Using the latest techniques and products, your hair and nails won’t look better after a visit here. Problem hair? No problem. The stylists are happy to recommend products that will protect and nourish your hair. You’ll be pampered and pleased when you visit NICO, Morgantown’s premier hair and body salon. The services at this top salon include special beauty-infused treatments that will moisture and repair damaged hair and give you the look and feel you want. When you see how good you look and feel, you’ll wonder why it took you so long to go. Looking for the ultimate in hair care? Love Paul Mitchell haircare products but don’t know where to get them? Go to Ultimate Images in Buckhannon for both. Maybe one of the area’s best kept secrets, Ultimate Images offers great service at great prices in an atmosphere that makes your feel at home. You’ll have a great first impression at First Impressions. This impressive hair salon and day spa located in Parkersburg is a hidden gem. They take a mess and make it magic and have fun while doing it. No need to look elsewhere for your shampoo and hair styling needs. This is your new hair home.